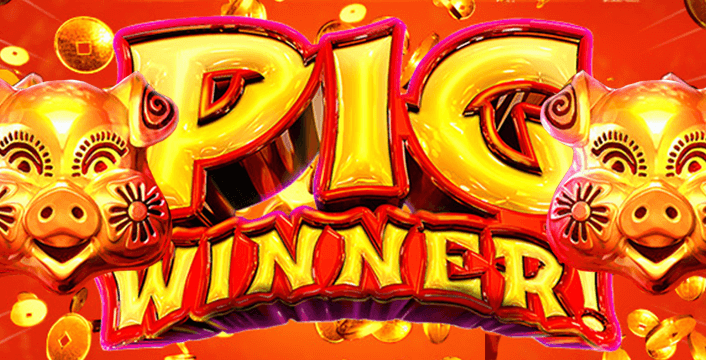 Pig Winner is RTG’s new online pokie release timed to coincide with the Chinese New Year celebrations. This year is the Chinese Year of the Pig. While you may first think of mud and mess, you may have to think again! Like majority of Real Time Gaming titles, this is definitely one to give a spin. The Chinese zodiac has 12 animal symbols with the Pig being its 12th symbol. Each year is named after one of the zodiac symbols, and each is auspicious for its own reasons. The Year of the Pig brings with it luck, wealth, honesty, good fortune, generosity, and general prosperity. This makes it the perfect choice for a pokie theme. The Western world recently celebrated New Year with bells and whistles. The Chinese New Year of the Pig began on February 5th, 2019. Celebrations have just begun with festivals, family time, and special meals and of course, for the older crowd, tons of top online pokies! Join in the celebrations wherever you are by playing the Chinese New Year Pig Winner online and mobile pokie. Pig Winner is a 243 ways to win pokie played on five reels with three rows. You can bet as little as $0.30 for a single spin, and increase your betting size if you wish to. The top wager for a single spin is $150. The top payouts are somewhat low when compared to other slots, set at up to 200x your stake. The wild multipliers increase your chance of making winning combos and the scatters trigger a free spins round. The Pig Winner pokie reels sit on a backdrop of what appears to be a golden orange-yellow Chinese coin. The deep maroon colored reels against the golden orange-yellow background give the pokie a celebratory Chinese feel. Symbols on the reels include the Pig wilds, and the Yin Yang scatters. All the other symbols are from the Chinese zodiac. The other symbols are the rat, the tiger, the snake, the rooster, the dog, the goat, the rabbit, the monkey, the horse, the ox, and the dragon. The symbols are brightly colored, some of which have a more modern neon shine to them. While the graphics are pleasing to the eye, they are not very exciting when compared to many other pokies. Look out for the top paying symbols which are the rat, ox, tiger, rabbit and dragon. After that the lower paid symbols include the rooster, snake, and horse, and then the dog, monkey, and goat. The Yin Yang scatter symbols come with a scatter payout, and trigger a free spins round. During the free games round, there are extra wilds and scatters added to the Pig Winner pokie reels. When you see three or more Yin Yang scatters on the reels, they trigger eight free spins. The free spins round may be retriggered in the Pig Winner pokie. It can be triggered twice more during a single game. Unlike the other symbols, the scatter symbol pays both right to left and left to right. Win the top 200x payout when you see five scatter Yin Yang symbols on the reels at one time. Wild multipliers appear in both the base game and in the free games round. The wild Pig symbol appears as a grouped wild on reels two and four. In the base game, wild combinations come with a 2x multiplier. In the free spins round, the wild wins have a 3x multiplier. The Pig wilds substitute for all symbols other than the Yin Yang scatter. 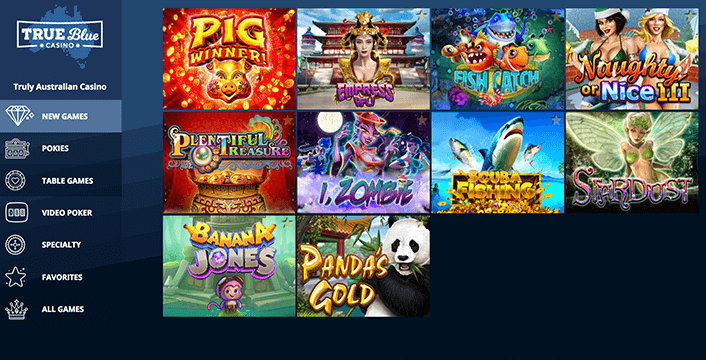 Play this great new Chinese zodiac themed pokie at True Blue Casino. The casino prides itself on offering fast games whether you play on a desktop computer or on your mobile device. PC players can enjoy richer graphics and a bigger choice of games with the casino’s Premium PC app. Mobile players enjoy a wide selection of Realtime Gaming games for fun at home or on the go. At True Blue Casino, you get a top Welcome Bonus offer with up to $2,000 of free casino money. In addition to this, there are special deposit bonuses and free spins on new pokie releases. True Blue Casino is safe and secure, and uses 256 bit SSL Security encryption. The casino is GLI Certified, showing that it complies with quality standards for both its hardware and software. The Chinese New Year has begun, so don’t wait any longer! Make sure to log in or sign up at True Blue Casino and get playing Pig Winner today. Go and make a pig of yourself!